When renovating your bathroom, it’s important to choose the right vanity for the space. Every vanity has its own personality, and you need it to match up with space you’re going to use it in. After all, the same vanity you’re going to use in your master bathroom won’t be the same as the one your kids will use every day. 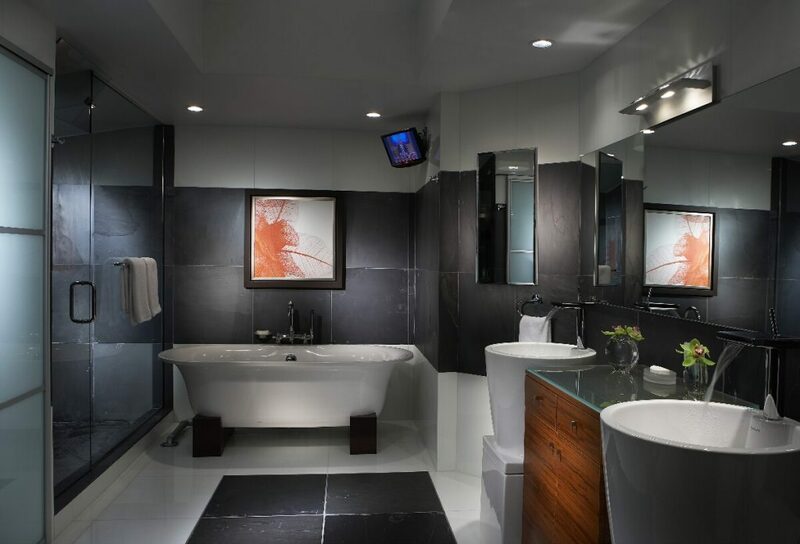 Here are three things you need to think about when you’re selecting your new bathroom vanity. The first thing you need to think about before you buy your vanity is who will be using it. This can really inform you on the type of vanity you’re going to need. For example, in a master bathroom, you’re going to need a lot of space for you and your partner to get ready in the morning. As this is the case, you’ll need two sinks so you can both get ready at the same time. If you’re looking to buy a vanity for a powder room, you’re going to look for one that’s quite small, to fit into the space you have. Decide who’ll be using it the most, and think about what they’ll need from a vanity. If it’s the children’s bathroom vanity, you’ll want lots of storage to hold all the bath toys they must have during their baths. If it’s for your bathroom, you may want a vanity that’s a little bit glamorous. If you’re not sure, talk to a Miami interior designer about your options. Many people have big plans or their new bathrooms, including their new vanities, until they take into consideration the space they have. They may want a huge, double sink vanity, but if they only have a small bathroom it’s not going to happen. You’ll need to think about what space you do have and use it creatively. There are three different dimensions you’ll need to consider. Firstly, how wide is the space that you want to use for your vanity? Next, you’ll need to measure how deep space is, and then how high you can go. You’ll be very much at the mercy of the width and depth of the space, as this will be dictated by the dimensions of the room itself. However, you do have more freedom with the height of the vanity. You can pick a height that makes it comfortable to use the vanity every day. You’ll also need to keep your mirror and other decorations in mind here, as they’ll affect the height of your vanity. Finally, you’ll need to decide on what features your vanity will have. Everyone is different and wants something different from their vanity. This is the part it’s worth bringing in a Miami interior design firm for. They can walk you through all the options, and help you think of ideas that you may not have even considered before. Whatever you want, they can ensure that you’ll get it. For example, they’ll help you pick the right look for your vanity. What finishes will you want? What kind of sink would work best in your bathroom? It’s worth looking into the accessories that come with the vanity you choose, as they’ll complement it. If you’re having a vanity custom built, of course, this will give you more freedom in what you have. 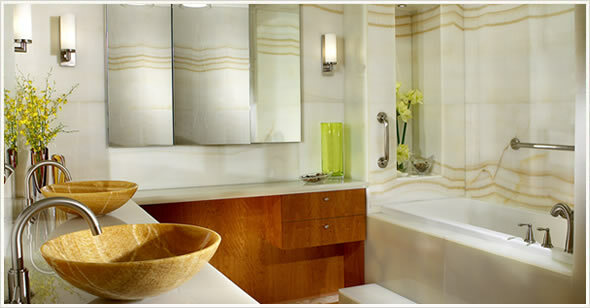 Another customization option is how the vanity is mounted in your bathroom. You have multiple options, so you can pick the one that’s right for you. For example, you can have it mounted to the wall, which is perfect for bathrooms with smaller floor plans. You can also have it as a corner mounted model to save space. Your vanity will be as unique as you are, so be sure to spend time thinking about what you want, before you go shopping. Still not quite sure what to do with your vanity? No problem. 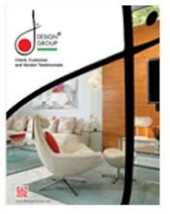 Here at J Design Group, we’re the best interior designer in Miami. We’ll help you plan, create, and install the perfect bathroom, including a vanity that works for you. All you have to do is get in touch with your ideas. We’ll take a look at your existing bathroom and plans, and together we’ll create a bathroom that’s designed for you and your family. We’ll then help you find the right contractors and fittings, and manage the entire installation process. Once we’re done, you’ll have the bathroom you’ve always dreamed of. Who knew picking a vanity for your bathroom would be so important? It’s worth thinking about now though, as you plan your renovations. The right vanity can pull the room together and really make it look good.